When making a decision on the college you attend, you’re going to want to visit the school first. While there are lots of things you can learn about a college online, you have to see it in person to make your final decisions between a handful of schools. 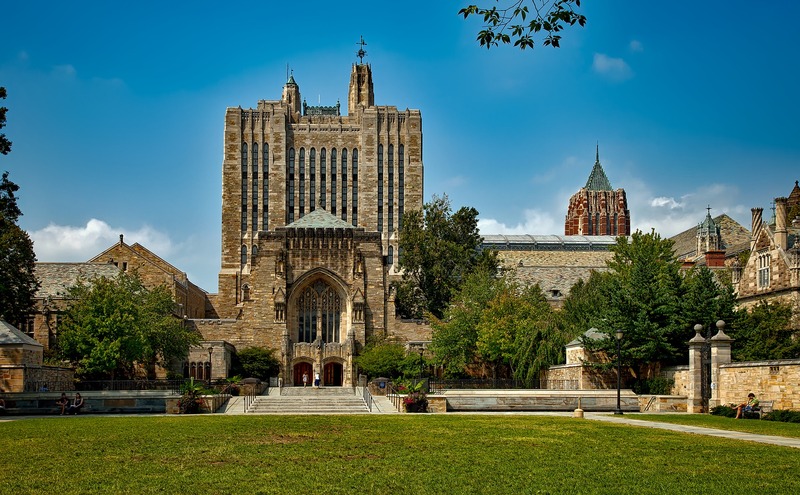 We talked to Mimi Doe, Co-founder of Top Tier Admissions to get an expert’s view of the process, as well as Noah Freeman, a high school senior, to grasp what students gain when visiting colleges. This article will guide you through campus visits–before, during, and after–so you can get the most out of your college visit, and allow the experience to help you decide how schools rank on your (practical) college wish list. First, deciding when you should start visiting colleges is important. Doe recommends starting to look at colleges as early as sophomore year, so you have more time to get a sense of what you want and be thorough in your process. Understanding what these aspects look like on a real campus can help students decide what they prefer and are looking for in a school. So, perhaps you visit a few schools locally first to get a feel for what a visit is like. Keep in mind that colleges track your demonstrated level of interest, so swinging by a campus that you’re nearby and checking in with the admissions office is never a bad idea. After getting a feel for campus visits, make a list of the schools you are seriously interested and that you think will be a good fit. Then, make plans to visit them. And, make sure your list is reasonable, as visiting 20 schools all over the country isn’t very practical, but perhaps four to six is a good place to start based on how far you’ll need to travel. Psst…if you can’t get to every school you want to see, check out their virtual tour. Over 400 colleges on Petersons.com give a virtual tour option through YouVisit. See participating schools here. Now that you have your list of schools, you’ll want to do your homework before visiting. Start by taking care of logistics. Schedule a campus tour and an information session, and perhaps schedule a department-specific tour if you know what major you’re after. Ask the admissions office if there’s anyone in the department you’re interested in that could talk to you when you visit. And, if anyone from your high school or someone else you know is attending the college, contact them and ask to meet when you visit to talk about their experience. Schedule any meetings you’ll want to have, and do some research. “Before you head to campus we say, alright spend 10 to 15 minutes on each school’s website. Learn about what they offer, learn about what are they known for. This is time well spent, especially if you already know what your major interests are, your academic interests,” said Doe. Doe gave the example of a student who is interested in art history. To research, she suggests this student looks into the art history program at a school and researching if it’s in-depth, if it’s an individual department or if it’s merged with studio art or the history department, what their curriculum is like, what a semester abroad is like, etc. “Dig in, lean in, learn a little, read the school’s newspaper. Go to some websites like niche.com and read what other students have said about the school, before you even get there,” said Doe. Essentially, make sure you show up on campus with a foundation of knowledge about the school. Doing a little bit of preparation will help you know where to go based on your interests, and will allow you to get the most out of your visit. If you’ve done the work ahead of time, once you get to campus, you’re all set up to meet with people and tour the school. Then, there are a few other things you can do to see if the school will be a good fit for you academically and socially. Paying attention to the other students on campus overall can give you a good idea of how the students really interact. Freeman shared how he observed other students when he visited schools. “For me personally it was more looking for how the campus and how the students interact together on campus. We went during the summer but just the atmosphere you can tell that there’s very good cooperative atmosphere,” said Freeman. While a campus tour will lead you through all of the main buildings, Doe advises that students take a good look at the library. “Chances are you’re going to spend time there studying. It helps you understand how many students are in there studying on a Friday afternoon at five o’clock if that’s when you’re visiting the school,” said Doe. First and foremost are your academics. Doe said that students should dig into the academic structure of a school. Talk to the admissions officers, students, and people from the department you’re interested in about how this all works. “You’re going to college to study—you’re going to be in class. Look at the class structure. Look at the core requirements that they have. Look at what you think you want to study,” said Doe. Social setting is also very important when choosing a college, so look at the environment of the school. Perhaps you liked the small-town feel of where you grew up, and feel at home at a college in a similar environment. Or, you want something new, and a large school near a city is more appealing to you. If a college is in the middle of nowhere, think about if you’re okay with your social life being solely on-campus. Take a look around the college and see if this is somewhere you’d want to live for four years. Freeman knew the location type he was looking for, but visiting the school allowed him to get a better sense of the setting and atmosphere of the school. “Honestly I wanted to get out of California just to try something new because I’ve lived here all my life, so I was just looking for big name schools. But when I visited, that was when I decided if it would be a good fit or not,” said Freeman. This “good fit” is more than just a feeling. The combined aspects of your life, such as academics, social style, athletics, culture, whatever it may be that are important to you, should be addressed when choosing a college. Of course, make sure a school is financially within your reach before you get your heart set on it. While at the school, look around and talk to the other students to see if you would be comfortable culturally. For example, if you’re an LGBTQ student and you find the school doesn’t have a support system in place or the data shows there aren’t many other LGBTQ students, this is something to consider. Finally, safety is a concern. Ask the tour guide or admissions officers what the safety measures are in place. How many emergency call boxes are easily accessible on campus? How well-lit are pathways? What are the statistics on crime and sexual assault? Make sure you can feel safe on campus. After visiting colleges, you’ll probably have a pretty good grasp on which schools fit you best. But if you need to narrow it down, go through again what you did and didn’t like in each college, and what you’re looking for academically, socially, culturally, etc. “Look at what is there and what it is giving you first as a scholar, and how will you grow. Is it a school where there’s room for you to grow,” said Doe. College is a pivotal time in life, you make your decision based off what will help you learn and grow best—which is by no means a one-size-fits-all scenario. So be sure to take all parts of your life into account when narrowing down your college choices, and visiting a college will help you understand if a school is right for all of your needs.